Illuminate your space with this brilliant, contemporary mini pendant. 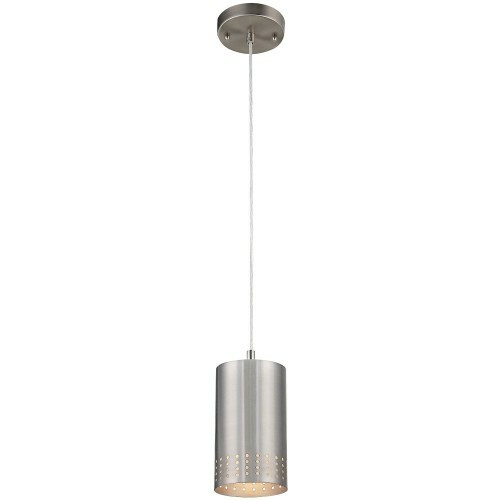 The adjustable one-light pendant features a cylindrical brushed nickel shade with perforated pattern which hangs from a slender cord and brushed nickel round canopy. Its style complements a range of decors from transitional to modern. Bring out the designer in you. Westinghouse's mini pendants are a quick and easy fashion upgrade to refresh your residential or commercial decor.